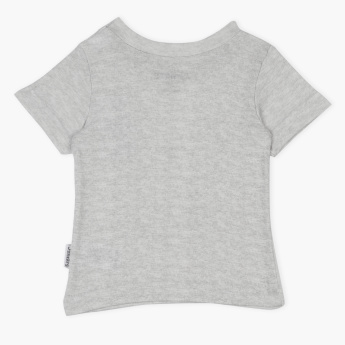 Sure to lend adore, this t-shirt is styled to keep your kid relaxed through the day. It is soft and easy on the skin which makes it an ideal grab. Features : Short Sleeves t-shirt with shoulder opening for easy dressing.